Lithuanian rabbi; born probably at Brest-Litovsk in the beginning of the seventeenth century; died at Grodno April 28, 1681. 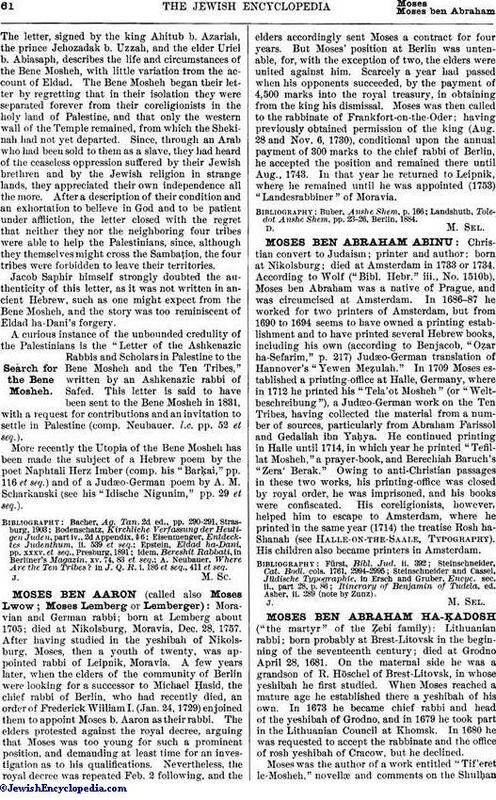 On the maternal side he was a grandson of R. Höschel of Brest-Litovsk, in whose yeshibah he first studied. When Moses reached a mature age he established there a yeshibah of his own. In 1673 he became chief rabbi and head of the yeshibah of Grodno, and in 1679 he took part in the Lithuanian Council at Khomsk. In 1680 he was requested to accept the rabbinate and the office of rosh yeshibah of Cracow, but he declined. 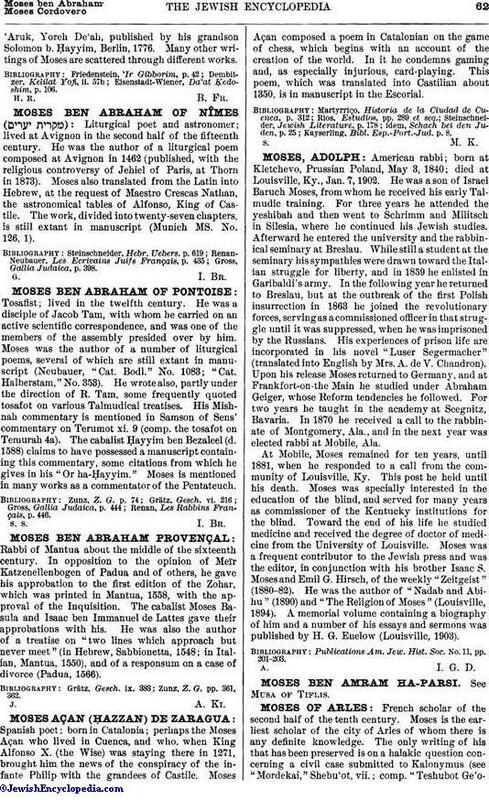 Moses was the author of a work entitled "Tif'eret le-Mosheh," novellæ and comments on the Shulḥan'Aruk, Yoreh De'ah, published by his grandson Solomon b. Ḥayyim, Berlin, 1776. Many other writings of Moses are scattered through different works. Eisenstadt-Wiener, Da'at Ḳedoshim, p. 106.